Although it was unseasonably cold and the swimming pool was for polar bears, there was much warmth at the regional gathering. Some 50 Subudians came from various nooks and crannies of our Rocky Mountain Region as well as from places further afield. The gathering was ably and generously hosted by the Tucson group with particular thanks to Lewis Olds and Vernon Contessa for organizing the venue and registration. This is an enormous job and they did it well. The over-arching focus and intention for this gathering was to strengthen our heart connections, experience each other as spiritual pilgrims, and to interact and share deeply. The theme arose out of feedback from the last gathering, and Helper testing. Roland Evans, assisted by Cedar Barstow, put together a more spacious schedule of activities and time frames based on feedback that the last gathering was too crowded and rushed. 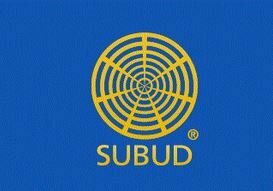 Kenneth Clarke (National Helper) confirmed that at the national level, there is interest in exploring more about our connections with each other—the “God beside us” aspect of Subud life and practice. This horizontal aspect of human connection is how we put into practice our vertical relationship with God in the latihan. On Friday evening, Cedar led an opening activity inviting people to connect with each other around questions such as, “find a partner and. . . . tell them a story about your journey here,” and another partner and “tell them something about them that you are curious about,” another partner and “tell them why you are here and what you want to get from this time together, and, the one that was most engaging was, find a partner, and ask them to tell you an effect you have on them. That was followed by latihan. Saturday morning, people participated in an experiment about connecting through similarities and differences. People moved to one side of the room or the other depending on whether they felt they were more like a clothesline or a kite, a red pilgrim or a green pilgrim, a merry-go-round or a car. Although this sounds quite whimsical, it was most interesting and refreshing to hear the reasons why people made their choices. The purpose was to feel more compassion and curiosity about our inevitable differences. The heart and soul of the gathering centered in the two three-hour blocks of time for women’s and men’s subgroups of 5 or 6 members to share and test together after latihan. The sub-groups remained the same for both blocks and groups designed their own best use of the time. Roland wrote a one-page Guidelines for Group Sharing, to support group leaders and everyone was given a copy (see below). These blocks of time were the heart of the gathering and served to strengthen individual connections. Trish Singelyn and Laura Lathrop orchestrated a marvelous “Subud Store” with books, art, jewelry, and items for the silent auction. Several workshops were available as well as personal latihan and testing. On Saturday evening, carpooling rather than walking, we pilgrims together, reveled in a long and flowing evening at the home of Lewis and Darlene Olds. Wonderful food, great music stories and poetry, and good conversation satisfied our spirit of community. How is my latihan when I do it without intention—with intention? What is the meaning of intention in latihan? How is my latihan when I am aware of the vertical dimension (God/Life Force)—aware of the horizontal dimension (others/community)? What is the most important thing I need to be aware of and pay attention to at this time—my life purpose at this time? What is the purpose of my creativity at this time? What are the limitations of my creativity—where does it come from—how should I respond? What state should I try to be in when I die? What can I do to get to that state? What did God promise me before I came here? What did I promise God? What is the most important thing to understand about my process of purification—my process of growth? What is the relationship between the ego and the soul? How is it when my spirit is guided by my ego—my ego is guided by spirit? How do I recognize a true receiving? What are the obstacles to my receiving—how do I minimize those obstacles? How much have I already brought the latihan into my life and world? Cedar and Roland are hoping that if you attended the gathering, you will be reminded of some connections you made, both inner and outer, and that if you didn’t attend, you can feel the energy and intention and use the testing questions and Guidelines for Group Sharing).